Columbine wildflowers and North Maroon Peak (14,014') below Willow Pass. 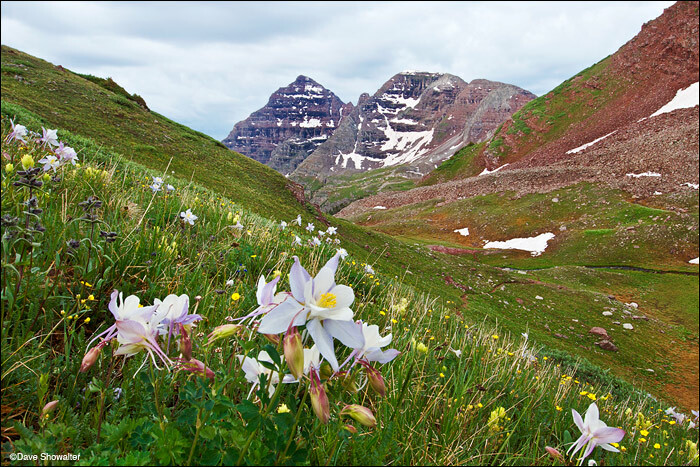 The Colorado blue columbine is Colorado's state wildflower. Photo © copyright by Dave Showalter.